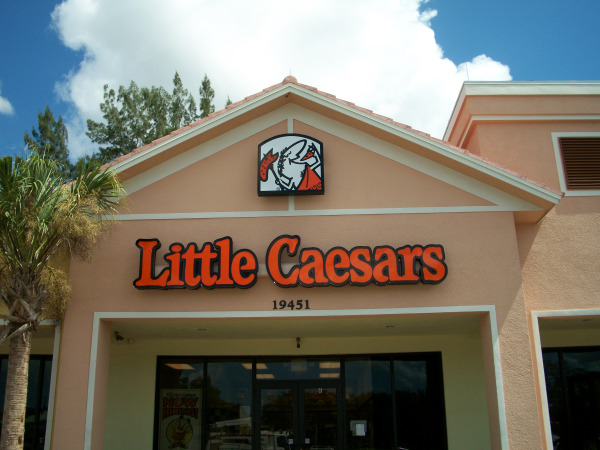 Halo Lit Signs & Channel Letter Signs: What's the difference? Actually, they are BOTH considered channel letters. There are four types of channel letters: Front lit channel letters, reverse lit channel letters, front and back lit channel letters and open face lit channel letters. Standard Front Lit Channel Letter – The dimensional letter is aluminum on the back and sides (returns) with internal illumination of either LED’s or neon. The sign face is polycarbonate with plastic trimcaps or metal retainers bolted to hold on the sign face. It is called a “front light channel letter” because the front face is lit up. Halo Lit/Reverse Channel Letter – Halo Lit Letters or also known as Reverse Channel Lit Letters consist of aluminum faces and sides (returns) mounted onto standoffs away from the wall which project either LED’s or neon Illumination to the wall surface giving the sign a halo effect. This technique is often considered to give the customer a distinguished or unique image. Front & Back Lit Channel Letter – This letter combines the Standard Front lit letter along with the Reverse/Halo Lit Letter. The sides of the letter are aluminum, the faces are polycarbonate and the back of the sign is open to reflect the LED or neonillumination off of the wall. Open Lit Channel Letter – As with the standard front lit channel letter, the dimensional letter is aluminum on the back and sides (returns). This sign is typically illuminated with neon. The only difference from the standard front lit channel letter is that the sign face is either clear or this sign does not have a sign face at all so that the internal exposed neon can be viewed.